This week on the finale of Kourtney and Kim Take New York, it is their last week in New York before heading back home to Los Angeles. Scott is opening up a restaurant in New York. When he told Kourtney it was close to being done she gave him little to no support. All she had to say was, “I’ll believe it when I see it.” Ouch. I guess that just gives Scott more motivation to rpove her wrong. This week on Kourtney and Kim Take New York, Scott and Kourtney have a fabulous portrait painted and Kim reconnects with her father. Scott and Kourtney went to Central Park and had a man draw a caricature picture of them. Scott wanted to put it on the wall in their apartment, but Kourtney has issues with putting pictures up in her house. Scott loved their caricature so much that he took Kourtney to get a portrait painted of them. This week on Kourtney and Kim Take New York, Kim struggles with a few different relationships in her life. 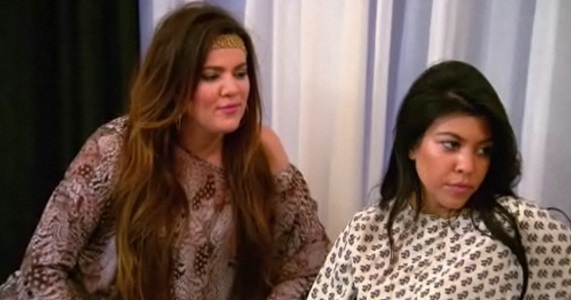 Kim is back from her trip to Dubai and tension between her and Khloe is high. Kim walked into the room to say hello to everyone and Khloe completely ignored her. In all fairness Kim sort of deserves it for the rude things she said to Khloe. This week on Kourtney and Kim Take New York, Kim goes to Dubai with her mom and Khloe comes to visit Kourtney in New York. Kourtney has been getting really annoyed living with Kris lately so her and Khloe wanted to come up with a prank to get him back. Kris Jenner and Kim went to the Dubai mall for the opening of Millions of Milkshakes. This week on Kourtney and Kim Take New York, Kourtney and Kim took a girls trip while the boys had a wild night in Canada. Kourtney and Kim went to work out and the paparazzi stood outside taking pictures of them through the windows. They are mad they literally never get privacy. It’s not exactly a secret that when you’re super famous the paparazzi will follow your every move.